Evening arrival at Tashkent International Airport. You will be met by your personal guide and driver and transferred to your hotel. Tashkent is the cultural and economic center of Uzbekistan. Today we'll discover the Old City: the ancient architecture of the Hast Imam Complex of the Medreseh Barakkhan, the Tello Shayh Friday Mosque and the Mausoleum of Kaffal Shashi. Browse for souvenirs and watch the craftsmen at work at the Medresseh of Abulkasim. Visit the coloful old Chorsu bazaar and see how the locals shop. 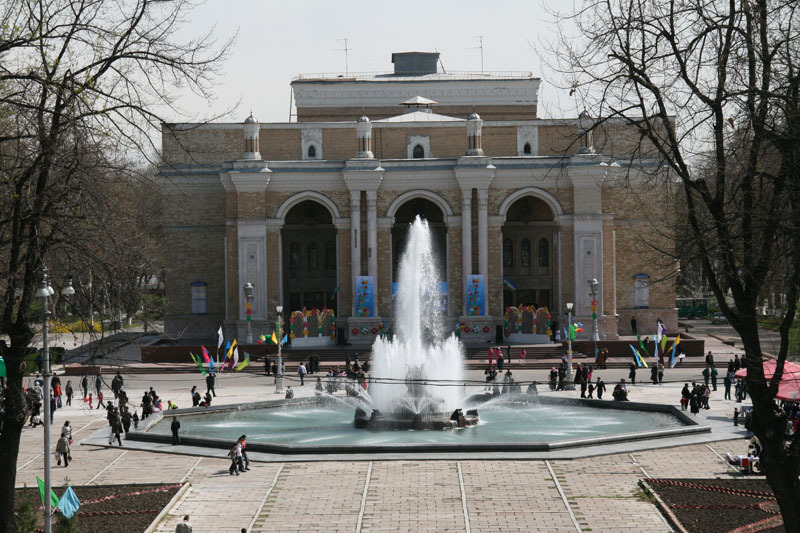 Visit Independence Square and the Navoi Theatre, set among the lovely fountains and green spaces of the city. Early morning transfer to the airport to take a flight to legendary Khiva, one of the most popular World Heritage Sites of the Silk Road. Arrival and accommodation. 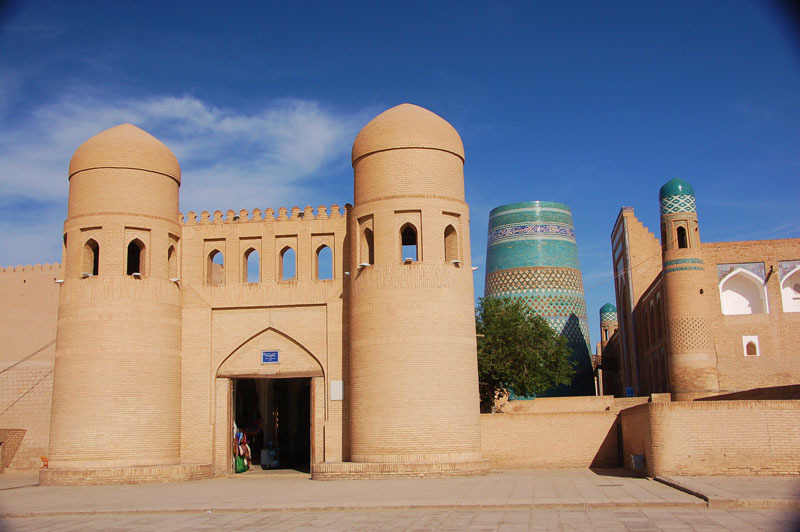 Sightseeing tour in fairy-tale city Khiva. We'll explore the antiquities behind the walls of the Ichan Kala (Old City): the Ata –Darvaza, the blue-tiled, Kalta Minar, the Mohammad Aminkhan and Khodja Islam Medressehs, the Kunya Ark (Ancient Citadel), Tash Hauli Palace iwth its harem verandahs, the Tim bazaar in the caravanserai (traditional inn for travelling merchants), and the peaceful Juma Mosque with its 200 wooden pillars. Dinner and a panoramic view of Khiva by moonlight. Early breakfast. Sightseeing day drive to Bukhara through Kyzilkum desert, once the main thoroughfare for the Silk Road route that connected China with the west. 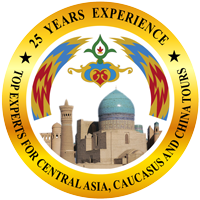 We will stop at a nomadic yurt village and enjoy a picnic in a local chaikhana (tea-house), Photo opportunities along the way near the Amu Darya (Oxus) River, one of the biggest rivers of Central Asia. Arrival in Bukhara. Bukhara is one of the most ancient and incredible cities in the world, a UNESCO World Heritage Site. Visit the 17th c. Labi Khaus Complex with its shady reflecting pool, once the principal water source for the town and the Nadir Divan Begi Khanaka (old merchant's hotel). Enjoy tea in an ancient Chaikhana (tea house) and an exhibit of national costumes in the old mansion of a wealthy merchant. The sightseeing continues with the trade domes of the money changers, hat, silk, carpets, puppets and jewelry sellers, the Magoki Attari, Abdulazizkhan Madreseh, and the Poi-Kalon Ensemble with the greatest minaret of Central Asia, and the ancient winter residence of the local emirs located near the Bolo Khaus Mosque. Dinner and Folklore show featuring local dancers, singers and fashion display of fabulous regional fabrics and designs. 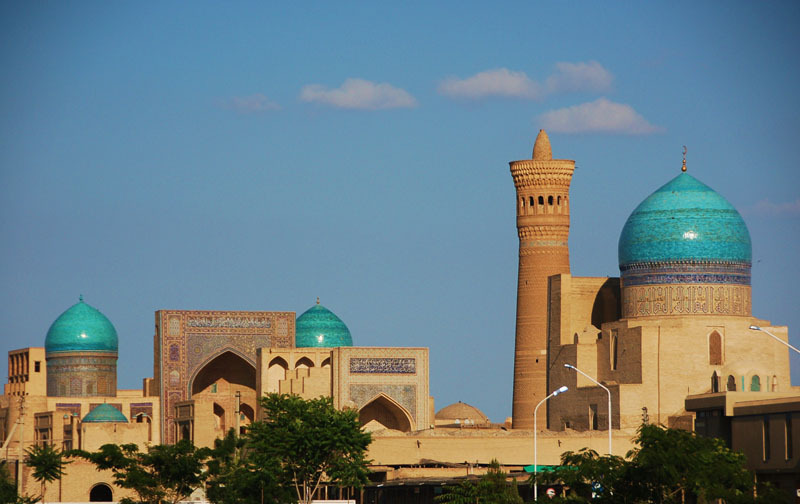 Finish our tour of Bukhara with the faded glory of the summer residence of the Last Bukharan Emirs, the "Sitorai Mohi-Khossa" (Palace of Moon and Stars) and the Chor Minor Minarets. Afternoon drive to Samarkand through the Rabota Malik chul desert. Arrival in Samarkand. 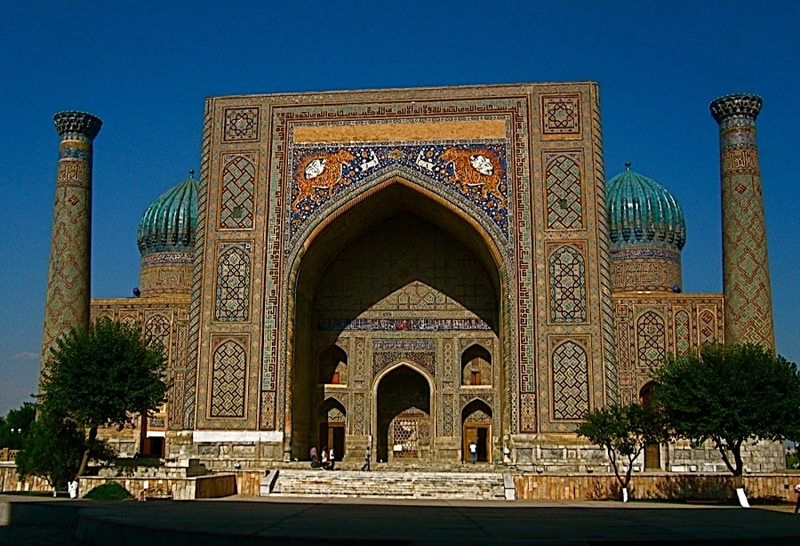 Full day exploration in ancient Samarkand, a city with over 3000 years of history and legend. 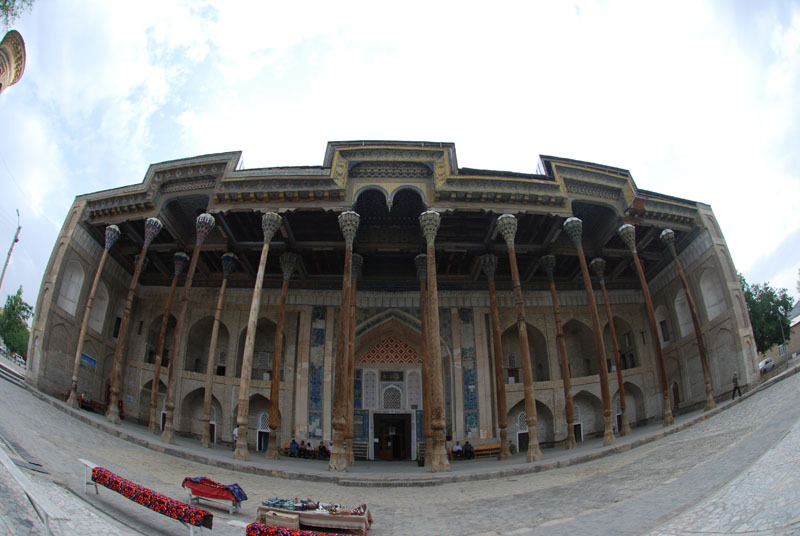 Sightseeing tour to the three magnificent medressehs of Registan Square, the main attraction of Samarkand and an impressive place for holding the world's finest traditional and modern music festivals and national celebrations. We will see the remains of the observatory of the 15th c. scientist Ulugbek, the necropolis of the Shah i Zinda Ensemble, the Bibi Khanum Complex and Guri Emir Mausoleum. 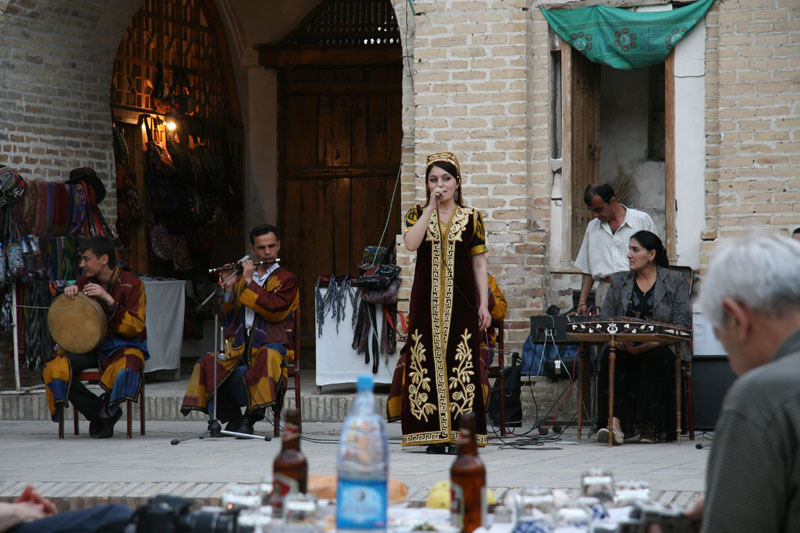 Enjoy a wine tasting at one of the oldest wineries of Uzbekistan before dinner. 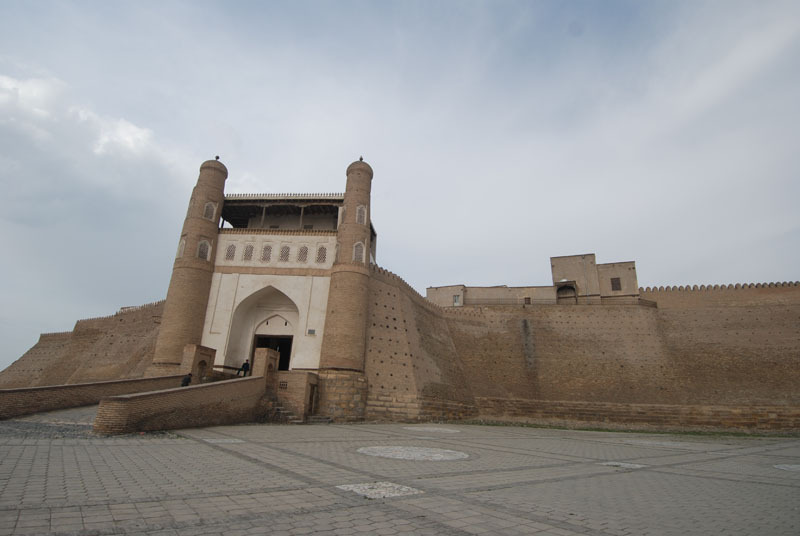 Sightseeing day drive to Shakhrisabz, the birthplace of Amir Temur (Tamerlane). Originally envisaged to be the most impressive city anywhere, a new town has sprung up which incorporates and showcases the fabulous monuments here. Visit the ruins of the "Ak-Saroy" the summer residence, the Khazrati Imom Mosque, and the blue-tiled Kok Gumbaz. Return to Samarkand and enjoy the evening panorama of the city. Photo opportunities from the highest point of Samarkand. 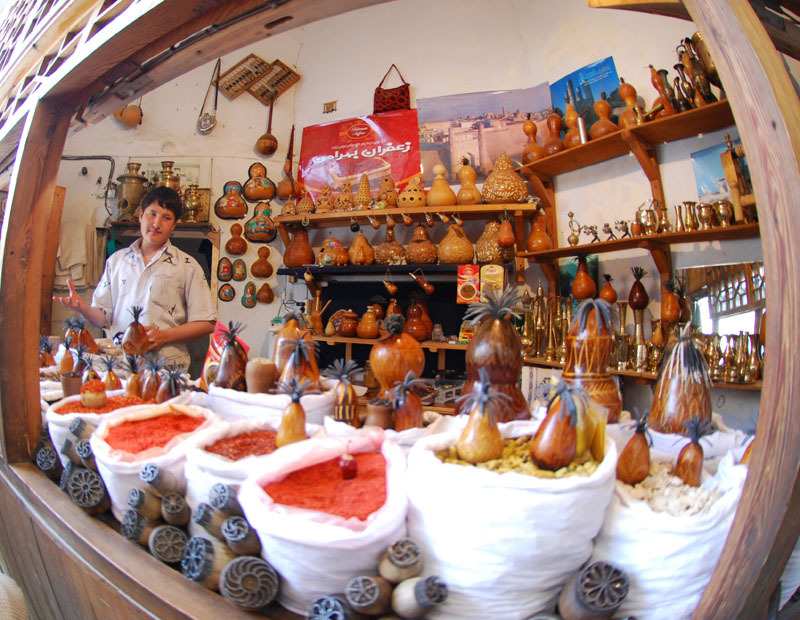 Visit local bazaars and the handicraft center. Drive to Tashkent, stopping near the "gate" of Amur Timur, the point where two mountain ranges meet. Arrival in Tashkent. Farewell Dinner. Transfer to Tashkent Airport for your departure.